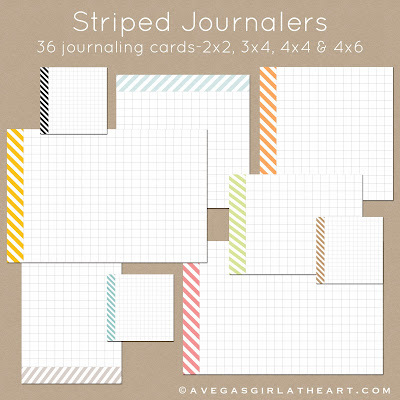 Two new journaling card sets added to the shop tonight. Click each image to take you to the listing so you can read more about them. 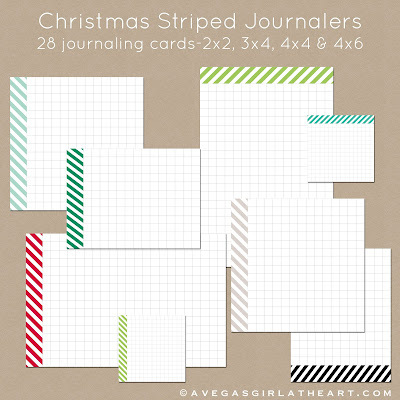 These are basic grid cards with a pretty little striped bit on the edges. They can be used horizontal or vertical. I am always looking for simple cards without any phrasing or imagery on them. These are perfect and I can't wait to use them in my own album! I love these (of course!) They are simple but the colors are great. Really versatile!